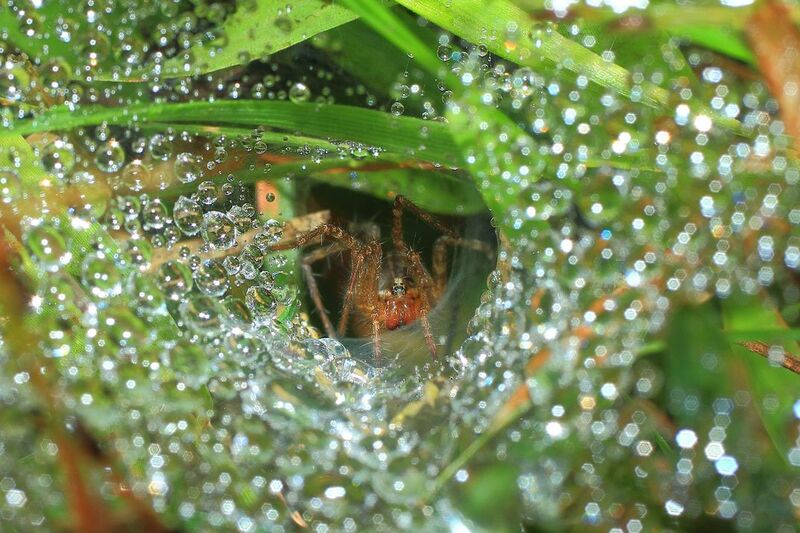 I saw a spider web in my yard all covered in dew. I got my macro lens out and took a few shots before i realized the spider was inside watching me!! Creepy!!! Date Uploaded: Oct. 12, 2012, 6:52 a.m.